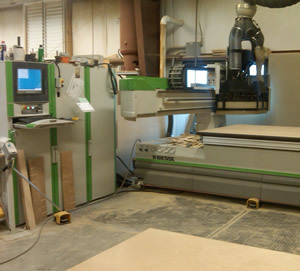 OUR ATTENTION TO DETAIL combined with the latest technology in precision manufacturing equipment qualifies us for a variety of Woodworking and Manufacturing Services needs. At Snitz Creek, we specialize in custom cabinetry, furniture and commercial marketing displays. We may be able to manufacture custom or production parts for your project. For more information, contact our customer service department. HAVE A PROJECT THAT NEEDS CUTOUT PARTS? Using CAD and CAM software, we can design and cutout custom or production parts for any size project. Our capacity allows us to deliver quality product in a timely manner. Some projects we have worked on include engraved signage, plaques, other memoribilia and simple carvings. The possibilities are many, with your imagination and our tools, you can tackle the project at hand.